Condominium (or condos) are separately owned individual units where you own the interior with collectively owned common areas such as elevators, pools, gyms, HVAC, hallways, decks, & more. These common areas, landscaping, community amenities, and utilities are managed through an HOA (homeowner's association). 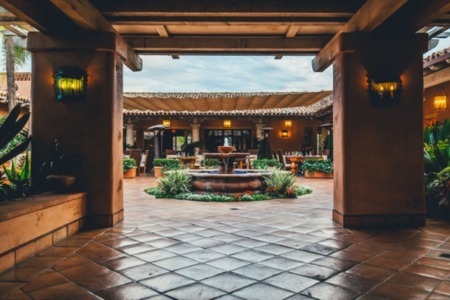 In San Diego there are condominiums that you cannot easily identify as such because they've been constructed as a collection of detached single family homes. Most often they are gated, have yards and patios, but after further investigation are legally condominiums. Townhomes or townhouses typically have a less claustrophobic feel as they are designed to feel like a private residence with a direct access outside door and multiple floors. Townhomes are often times stacked vertically by two to three units with one to two shared walls. Unlike condos, townhouses often have exclusive use outdoor space with a front yard, backyard or patio, that the owner maintains. With townhomes you'll find higher home insurance rates because you own the interior, exterior, driveway, and roof but you will have lower HOA fees because you are responsible for termite, roof repairs, exterior, fencing, and more. Often times there are community amenities, front yard landscaping, and trash removal covered in your HOA. Lofts are usually found in urban areas and are warehouse or industrial buildings converted into large open living spaces with high ceilings and floor to ceiling windows. Other characteristics of lofts are exposed piping, air ducts, ventilator tubes, support beams, and poles with exposed brick walls and wood or concrete floors. Downtown San Diego loft communities include M2i in the East Village, Samuel Fox Lofts in Gaslamp, eight story loft section of DOMA in Little Italy, Fahrenheit in East Village, and Parkloft in the Ballpark District. Mixed in with condos and townhomes Downtown San Diego complexes with some lofts in East Village are Union Square, Park Blvd West and East, in the Marina District Citywalk and Cityfront Terrace, TREO in the Columbia District, Palermo in Cortez Hill, and Village Walk in Little Italy. Studios sometimes referred to as flats are composed of one consistent space with no walls separating different living areas with exception to the bathroom. Most condo communities have a few studios strategically situated within a complex by the developer. Rowhomes also known as terraced housing, were originally developed in the 16th century in major cities. Row houses or row homes are identical mirror images terraced on narrow lots sharing a common wall. Twinhomes are paired homes or two homes that share a common wall. The property line is split down the middle of the homes. Twinhomes can have different architectural elements, different roofing, exterior colors, landscaping, and different floor plans. When purchasing a new condo or townhome it's safe to assume your community could face construction defect litigation in the proceeding ten years, typically years three through seven. The actual litigation process takes around 1.5 to 3 years for resolution and will affect the property values during the active litigation. It's extremely difficult for a buyer to obtain financing and only very select lenders have a special program for financing condos in litigation. Matt Glynn with One Trust Home Loans is one lending resource in San Diego and he has continuous updates on his website about current projects in litigation. Effective January first 2003, SB 800 outlines the compulsory processes that homeowners must go through prior to filing a lawsuit for construction defects. A defect is any impairment including structural deficiencies and water intrusion. The HOA's and their attorneys for condo and townhome communities conduct intrusive investigations to compile a list of all deficiencies to submit a written claim and begin attempts at a settlement with the builder’s insurance company. 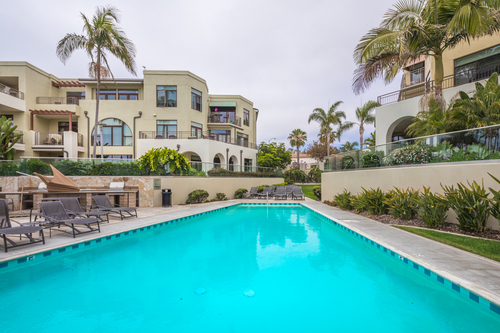 One case that lasted many years and builder defect repairs are just finishing in 2017 was a La Jolla condominium community called Seahaus in Bird Rock. You can read about it HERE. FHA financing allows first time home buyers to make a minimal down payment of 3.5% and a maximum loan amount of $612,950 for San Diego. Unfortunately common interest developments must be approved through the Federal Housing Administration, and meet certain requirements. The CID must be at least 35% owner occupied, or 30% owner occupied for new construction, and less than 15% of its owners should be delinquent on dues. There are also FHA guidelines on investor entity ownership, reserve funding, insurance coverage, and leasing. The homeowners association and board of directors must submit several documents including annual reserve studies, 3 years of financial documents, the budget, and a fee. You will find many projects at one time had FHA approval but are no longer approved because they failed to obtain project recertification. VA buyers can purchase with zero down and in San Diego the maximum loan amount for a VA loan is $612,950. The approval process for VA certification is similar to the FHA certification. The common interest development must be at least 50% owner occupied with less than 15% of the owners delinquent on dues. The homeowners association and board of directors must submit several documents including a written request, copy of the HOA documents, financial statements, meeting minutes and litigation statements. There is also an option to include an attorney opinion letter. It takes about 60 to 90 days for approval if the CID meets the requirements. If a complex is FHA approved, VA approval is automatic. Condo inspection is a part of the escrow process, and homebuyers should be aware of all the aspects of condo inspection and rules regarding inspection of common areas. The Davis-Stirling Act governs common-interest developments and homeowners associations. Common interest developments have homeowners associations which have CC&Rs (Covenants, Conditions & Restrictions), articles of incorporation, bylaws, and rules and regulations. The CC&Rs are created by the developer and describe the various land and use of development restrictions. These are enforceable and recorded by the County of Recorder as well as all amendments. The articles of incorporation legally establishes and documents the creation of the corporation for the common interest development while the bylaws detail the required actions of the corporation and its board of directors. Bylaws, or rules and regulations are similar to the CC&Rs, but are not recorded with the County of Recorder. They are approved by the board of directors and details the general management and operation of the common interest development. For example, they describe the common area uses, the use of the separate interests, restrictions on alterations, and member discipline. The rules and regulations are easily amended by the members and enforceable by the board of directors and its members. 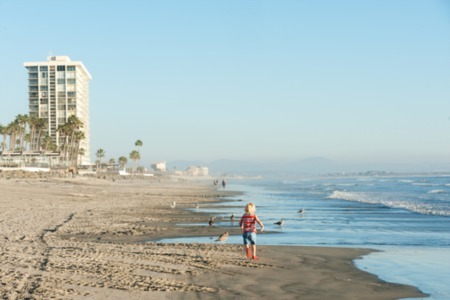 Need More Information as a Condo buyer in San Diego? If you’re having thoughts of buying or selling a condo, townhome, or loft in San Diego, please do not hesitate to contact Aumann Bender & Associates with any questions or to begin your condo househunting. We look forward to hearing from you and welcome the opportunity to help you find the condo that best suits the needs of you and your family.